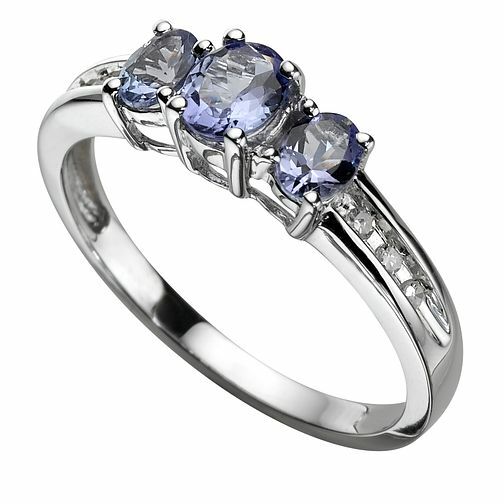 9ct White Gold Diamond and Tanzanite Ring is rated 4.8 out of 5 by 18. Rated 5 out of 5 by Anonymous from Engagement ring I bought this for my fiance ..she proposed to me but I swore to get her a ring so she would be able to show it off ..so its fair. The ring is smaller in person but trust me its a good way, it doesn't look tacky at all! Its beautiful. Better than the photo.